I have wanted to have a Pinterest Party for a long time. I invited some friends over to make some crafts inspired by things we found on Pinterest. For this first party, there was just me and my friend, Elaine. I look at Pinterest as a starting place, and almost never make the craft or other item exactly as it is made by the pinner. I look for inspiration for making my own things. 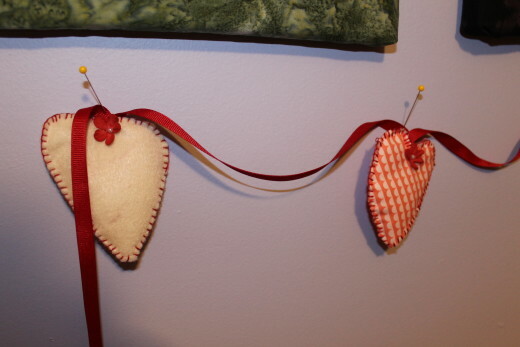 These Felt and Fabric Sachet Hearts are very pretty, but I wanted to make a garland. 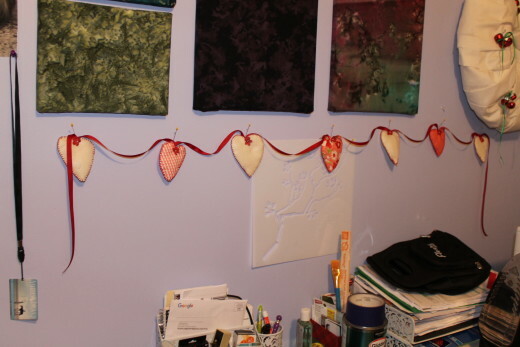 I used the basic idea of felt and fabric hearts, and put my own spin on it to create a pretty garland to hang in my living room. These hearts were really easy to make. I cut out two pieces of felt or fabric, and used some scrap stuffing or batting for the inside, to make them puffy. Then, I used a blanket stitch with red embroidery floss to stitch all the way around them. You can stitch them with a blanket stitch on your sewing machine, but I think they look better done by hand. 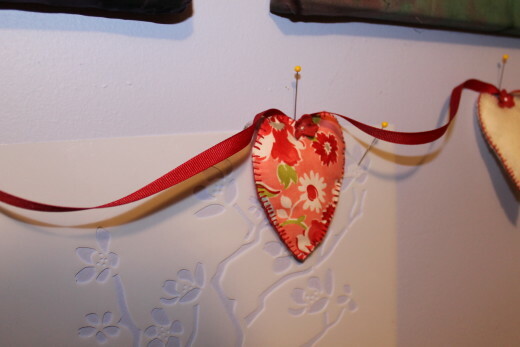 After I had them all stitched, I sewed a small red ribbon flower on each heart. Then, the hearts were stitched to a length of red grosgrain ribbon. Closeup of one of the felt hearts. Elaine had never done a blanket stitch before but she was glad to learn how to do it. She wants to make an applique quilt using the blanket stitch for her appliques. Making crafts like this is a good way to learn how to do things you don’t know how to do. Close up of fabric heart. Elaine took her garland home to finish at the end of the day. We had such a good time, pausing long enough to have lunch and coffee. We are going to do this again in February, and make some St. Patrick’s Day crafts. 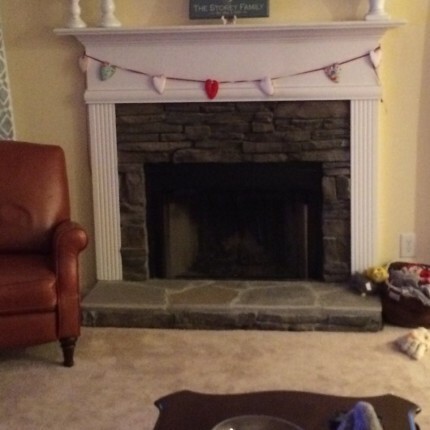 Elaine’s garland hanging from the fireplace. 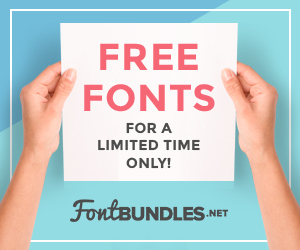 What have you made recently that was inspired by Pinterest? Do you make your crafts exactly as they appear on Pinterest, or do you get creative?